Applying a capillary treatment is necessary to maintain the hair healthy, but it must be done well, without skipping steps. Most of you already know us, and you know what we do: at KV-1 Anti-Aging Beauty we work mainly in hair treatments to take care of the hair of our users. We are pioneers in Anti-Aging Treatments in Spain and, specifically, our brand developed the Hair Lifting concept. We have been focusing ourselves for more than 30 years on the hair cosmetics and we know how to work to provide the widest range of care and nourishment to your hair. That’s why most of our treatments are based on the Three Steps System. Today we came here to explain it. Sometimes, the hair treatments doesn’t give the expected results. Mainly, the efectiveness of the treatments applied to the hair remain in the way that they are applied. And although it’s true that most of shampoos and hair masks can be applied in your own shower, the stress, the lack of practice or the evereyday’s problems imply that the applying may be not the adequate, showing that nobody is best for your haircare that your own stylist. Despite everything, every hairdresser has its own way of working so, what can be done to a treatment for having a real effect on the hair? To avoid all these problems for a treatment to work, at KV-1 we have implemented a system based in the Anti-Aging Technology for all our products to provide an optimal result in any case: the KV-1 Three Steps. Of our 7 hair product línes only two don’t use this system, and this is because the kind of treatment they produce. 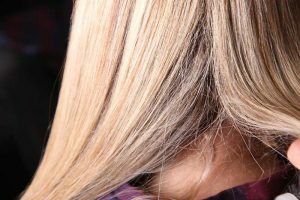 But the rest of lines (Hair Lifting Originals, Advanced Cellular Repair, Fiber Prestige Moisture, Tricoterapy Advanced Care & Oneplex) use this hairdressing modus operandi, because through the years we’ve checked that this is the best way. And which are this KV-1 Three Steps? This three phase ritual is based on the ideas of purifying, preparing and acting. This implies a first step, in which we apply a product destined to clean the cuticle and the scalp which varies depending on the treatment: in the Tricoterapy one, for example, this step corresponds with our Dermarescue Exfoliant. Then it comes a second step, usually a repair hair mask which activates the hair for the final step: in our Oneplex, this stage corresponds to the Bond Clean & Maintenance. Finally, it comes a direct intensive treatment, as third step, to soak the hair fiber and the scalp with nutrients and our most powerful formula, providing the most visible and final change to the hair: in our Collections, the final touch is given by the famous Hair Lifting. Why shouldn’t I use one of the three steps on its own? As we were saying, it is not advisable to use any of our products of a treatment separately, and this has a reason: if each product prepares the hair to the next one, using just one of them doesn’t allow to absorb at the maximum the active principles and nutrients which make our hair stronger and beautiful. Let’s say, for example, that we want that our hair gets extremely moisturized using just the mask of our Fiber Prestige Moisture. No doubts that it will have some effect on the hair, because it has a great quality, but the hair wouldn’t have been purified before, nor would have the final nutrient and active principle bomb that it should, and that’s why its effect would be very limited. Besides, it has to be said that the hair treatment would only be effective if its maintained through time. 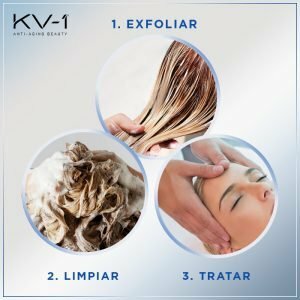 It is a great idea going to your stylist to enjoy a KV-1 ritual, and no doubts that your hair will be improved immediately, but if not repeated usually, external (as pollution) and internal agents (as the hair growth itself) will erase that first effect slowly until make it disappear and, therefore, making your hair health diminish again. Thus: maintaining a pretty hair precise a frequency of application . All these things said, we advise you to use the three steps in each of our treatments. Just this way you’ll be able to experience the true quality of KV-1 Anti-Aging Beauty and maintain it through the time to keep waking amazes and and keep enjoying always of a healthy and young hair. We hope this article was useful. If it was, share it with your friends, partners and family, and look for us in social networks.